"For I decided to know nothing among you except Jesus Christ and Him crucified" (1 Corinthians 2:2). He's the reason that we live. "To whom Lord shall we go?" This song was written in celebration of the 30th Anniversary of Dr. Tom Ascol serving as Pastor of Grace Baptist Church, Cape Coral, Florida. 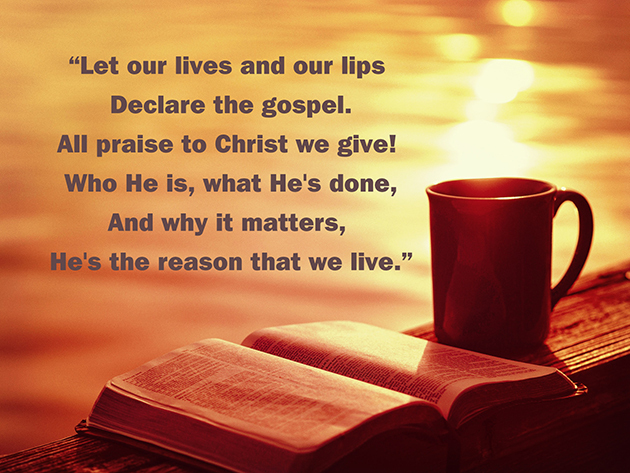 Read more about this hymn on the blog. Music recorded during evening worship at Grace Baptist Church, June 5, 2016.